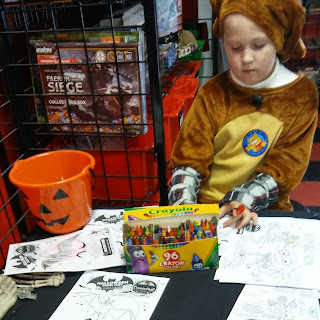 Maryland Mommy: Our afternoon at Kenilworth Halloween Spooktacular and Collectors Corner Halloween Comic Fest! 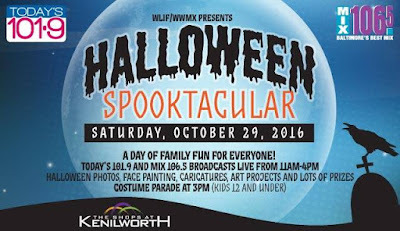 Our afternoon at Kenilworth Halloween Spooktacular and Collectors Corner Halloween Comic Fest! I took the kids out for a little Halloween fun today! They looked so cute in their costumes. 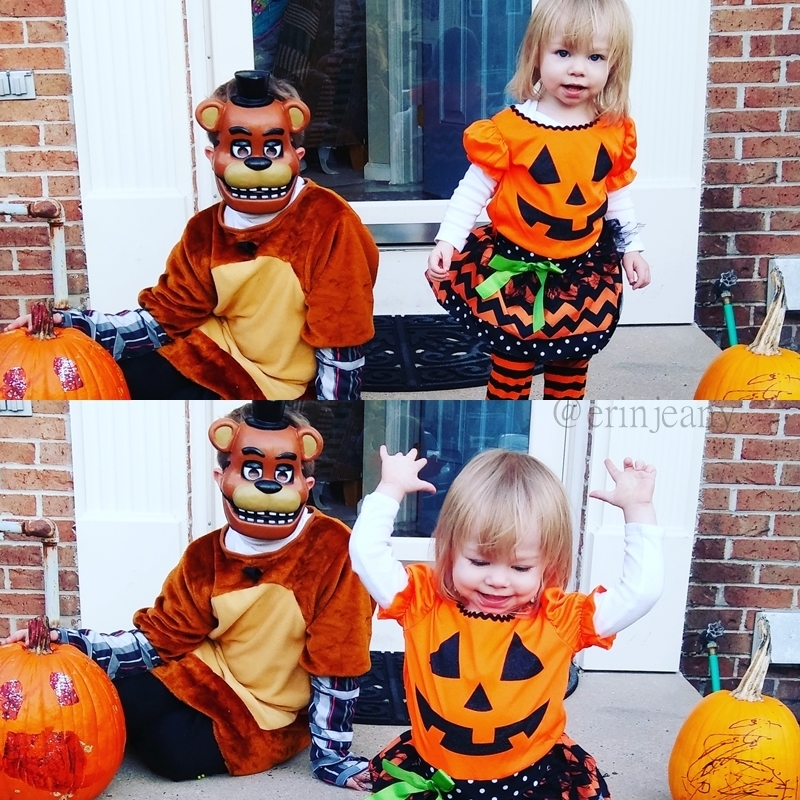 Elijah is Freddy Fazbear from Five Nights At Freddys and Ariel is a cute little pumpkin! 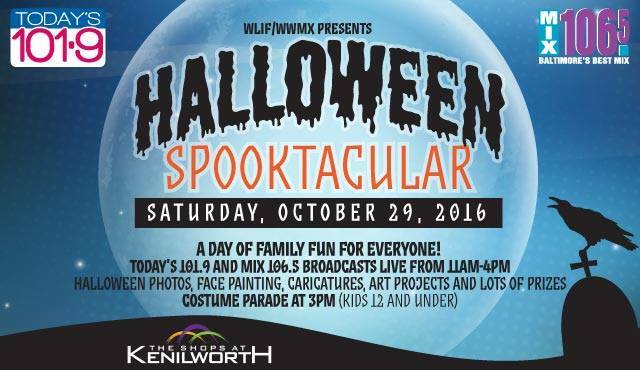 First stop was The Shops at Kenilworth in Towson for the Halloween Spooktacular! They had a great time! 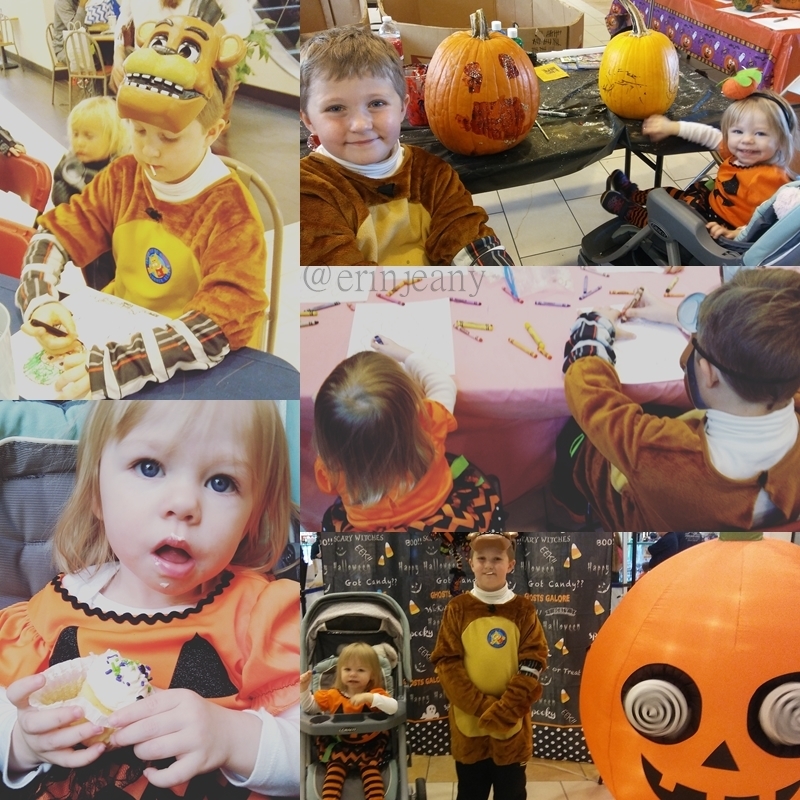 They painted pumpkins, played games, won prizes, colored, got delicious cupcakes, fake tattoos and even got to trick or treat and go on a costume parade past every store on both floors of the mall! They made out pretty good I would say! 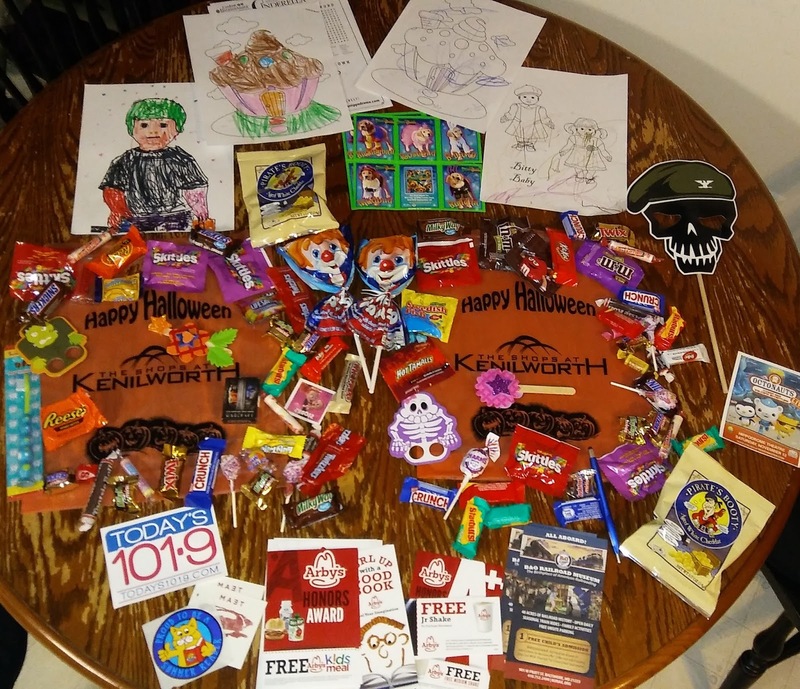 Just look at this loot! They even ate some of the candy already! Next stop was Collectors Corner on Harford Road for Halloween Comic Fest! 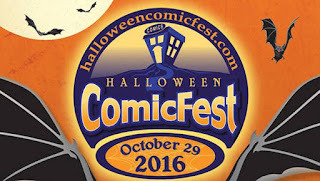 They had free Halloween Comics for both children and adults, grab bags for the kids, food and drinks and more! Elijah colored a picture for a chance to win himself a $10 gift card. 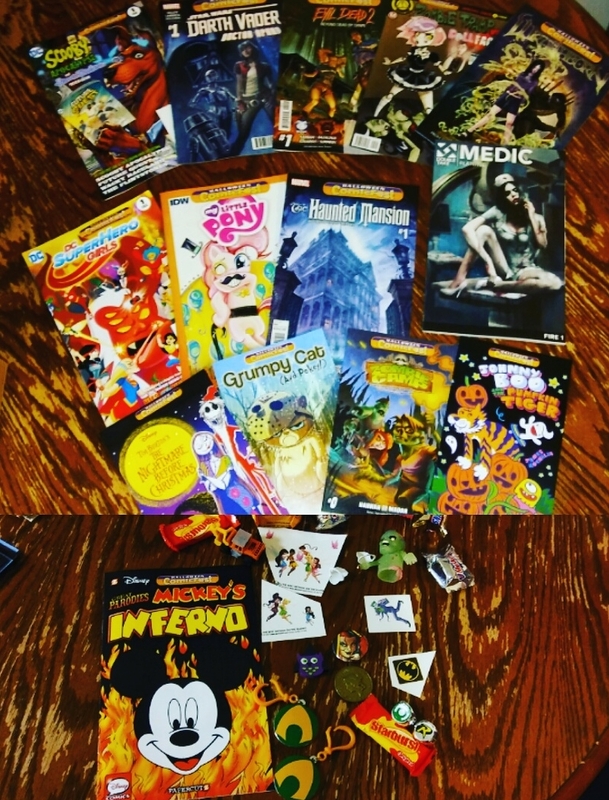 Here are the comics the kids and I picked out and below is some of the stuff from their grab bags!